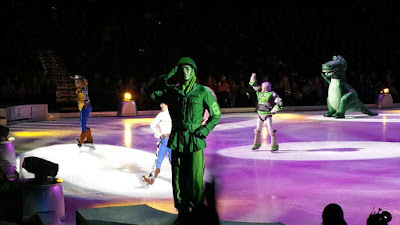 Being Frugal and Making It Work: Follow Your Heart Straight to Adventure with Disney On Ice! 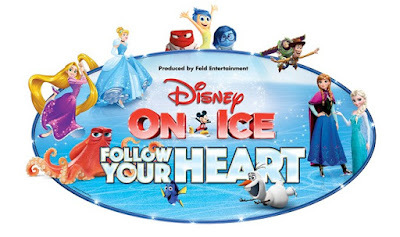 Follow Your Heart Straight to Adventure with Disney On Ice! 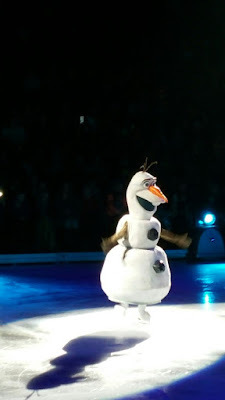 Last night was a girl's night out with Disney On Ice - Follow Your Heart at the Spokane Arena! This year, I took my daughter, two of her friends and fellow Girl Scouts, and my friend and troop co-leader. Our seats were located at one end on the corner, just 6 rows up. We had the perfect view of the entire ice arena!! We arrived about 45 minutes early, so the girls could walk around and look at all the souvenirs. We also wanted to arrive early so we could re-create a photo from last year when we also attended Disney On Ice together. 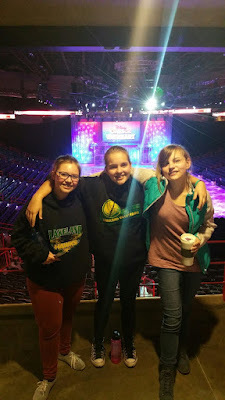 One of the three teens was excited for the show, another was skeptical, and the other made it clear that she was "too old" to be there! In fact, she even went as fat to say that she didn't want to be there. I'll admit that it made me a little sad to hear that. After all, it's always been my opinion that you are NEVER too old for Disney! For me, the anticipation and excitement kept building - I was excited for the show, the characters, the music, the choreography, and the story... I was confident that the girls were going to have a great time and let down their "I'm too old for this" attitude when the show began! When they finally announced that the show was going to start in 5 minutes... all three girls became very excited! That's what my Girl Scout co-leader and I had been waiting for! (yes, even the teen that told us she was too old to be there got a smile on her face and started to feel the magic). Within a couple of minutes, the girls were dancing, singing, taking pictures and instantly sharing them on Snapchat. Our girl's night out was a success! 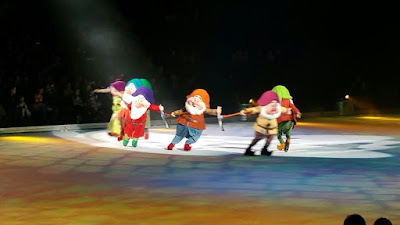 I've been to numerous productions of Disney On Ice, but have never seen The Seven Dwarfs. They were there and I was excited! Dopey was just as adorable in person as he is in the movies! The girls all love singing their favorite Disney songs at the top of their lungs! "Let it Go" was our karaoke highlight! The music, costumes and choreography were simply AMAZING! The show was both exciting and magical. My co-leader and I enjoyed it as much as the kids did. Well, almost as much! It really is a show for children and adults alike, from the very young to the very old. 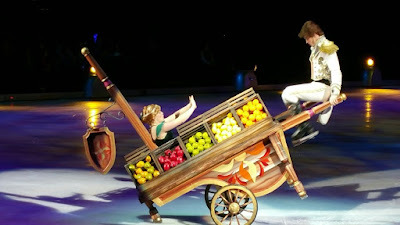 Whether you go to Disney On Ice every year or you have never gone before, I highly recommend this show to everyone! 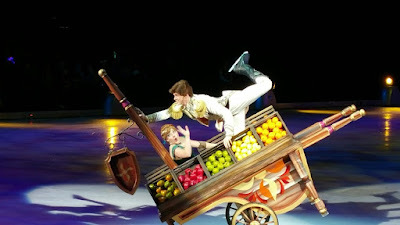 Follow your heart straight to adventure with Disney On Ice! 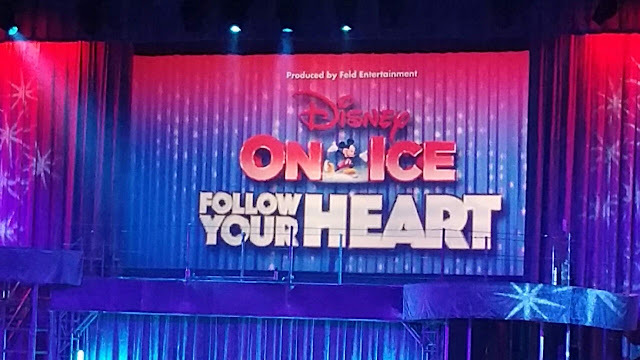 Families will make unforgettable memories with Mickey, Minnie and all your Disney friends when the new ice show Disney On Ice presents Follow Your Heart! 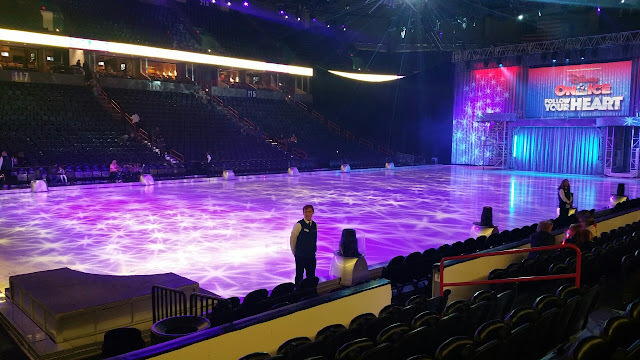 The ice skating extravaganza features the beloved stories & characters from the smash hit animated movies Disney•Pixar’s Finding Dory and Inside Out for the first time in a live production. Just keep swimming with Dory, Nemo, Marlin and new pal Hank from Disney•Pixar’s Finding Dory as they embark on a life-changing excursion to find her parents and discover the true meaning of family. Cheer with Joy, Sadness, and the rest of the Emotions from Disney•Pixar’s Inside Out as they help Riley find the confidence to win the big hockey game. Venture to wintery world of Arendelle where Olaf and Kristoff help reunite royal sisters Anna and Elsa from Disney’s Frozen and learn love is the most powerful magic of all. See Cinderella, Rapunzel, Tiana and the Disney Princesses make their dreams come true through their virtues of bravery, kindness and perseverance. And celebrate true friendship with Buzz Lightyear, Woody and the Toy Story gang. 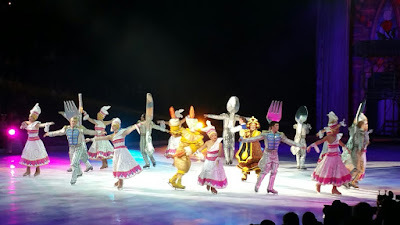 Have you ever been to a Disney On Ice production? Swago: Shopping Edition Is Back! Halloween Sale ~ Earn Double Cash Back!